Baer’s Sign Service, LLC installed it’s first commercial grade aluminum flagpole in 1986 and since then we have installed hundreds of aluminum and fiberglass flagpoles for homes, businesses, institutions, military bases and municipalities. We have installed in-ground poles from fifteen feet to 150 feet. The founder of the company, Galen "Joe” Baer was a member of the United States Marine Corps and served in both WWII and Korea. As such, he instilled a sense of patriotism within the company that still exists today. Baer’s Sign Service has been involved with and donated much time and materials to the 150’ flagpole that stands in Chambersburg’s Memorial Park and to the 9-11 & Veteran’s Memorial located at the Letterkenny Chapel. We offer many types of commercial and residential in-ground and wall mounted flagpoles including residential kits. Our services also include installation and maintenance to existing flagpoles. 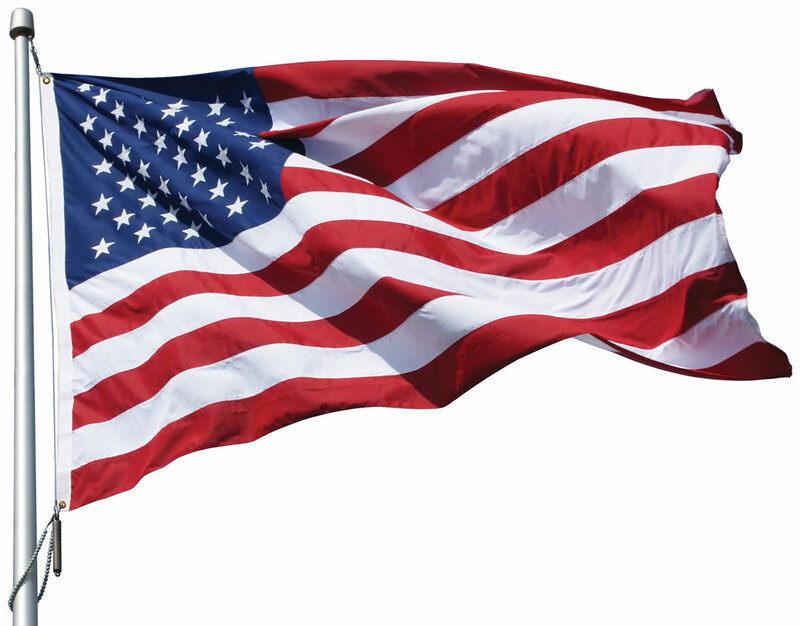 We stock many types of flags and all of our United States flags are 100% Made in the USA. Contact us at 717.263.1686 or baersign@innernet.net today for availability and cost of your flag and flagpole needs or click on any of the selections to the left for a selection and current prices at 'Flag Catalog' for flags or 'Flagpoles' for flagpoles.